decorate your tree this holiday with the nova68 retro 1950s christmas decor as the famous space-age glass ornaments, retro christmas displays and classic modern ornaments. our retro-style 1950s christmas ornaments are back! are you ready to conquer space with retro modern ornaments for christmas trees? 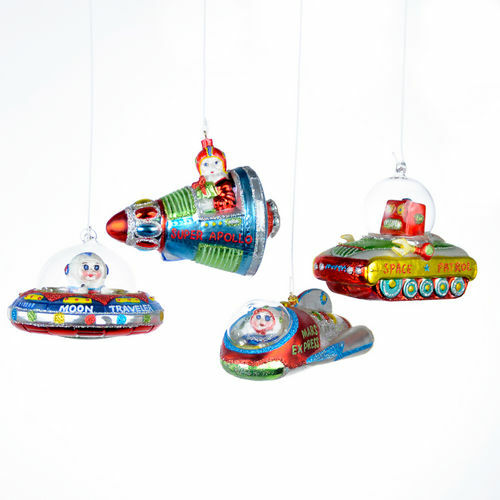 ready-set-go with our 4-piece retro modern space christmas tree ornaments including the apollo mission rocket, flying moon saucer, mars express people mover and space patrol rover; the robot that keeps some order in space!